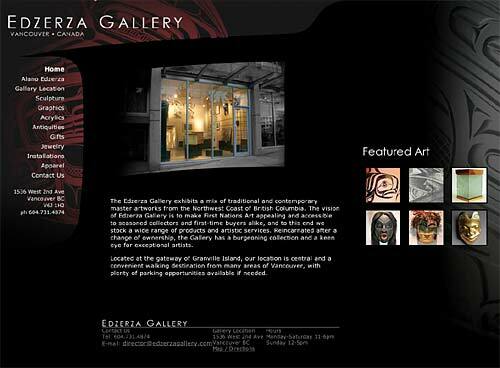 The Edzerza Gallery is Vancouver’s only First Nations owned Aboriginal Art gallery. I built them a easy to update gallery site with a custom cms using php, mysql, ajax and the highslide framework. The project was designed to be adaptable with an eye towards future e-commerce development.